Shooting suspect and victim missing | Crime Stoppers of the Lowcountry: 554-1111 | 1-888-CRIME-SC | Anonymous tips earn cash rewards with Crime Stoppers of the Lowcountry. 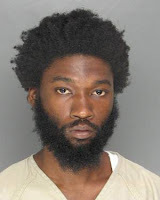 COLLETON COUNTY, SC - Colleton County Sheriff's Office spent the weekend searching for both the victim and suspect in a reported Saturday night shooting off Brittlebank Road. Members of the sheriff's office and paramedics from Colleton County Fire-Rescue were sent to the intersection of Koth and Baker streets Saturday evening after a called informed dispatchers that a man had been shot in the area. When safety forces arrived no one was around. A search of the area failed to produce anyone who could provide information. Sheriff's Office investigators were later contacted and told that Daquan Tarrel Williams, 19, of 1805 Greenpond Highway had been the target of the shooting. It was believed that he had been hit in the leg by the bullet. Deputies, joined by Williams' family members and others, searched the adjacent woods and a nearby housing subdivision until 4 a.m. for a sign of Williams. The search was assisted by a South Carolina Law Enforcement Division helicopter using a forward looking infra-red camera looking for a heat signature from the reported shooting victim. When daylight broke Sunday sheriff's office personnel were joined by members of the Department of Natural Resources officers and citizens resumed the search, this time aided by a helicopter from the Charleston County Sheriff's Office Aviation Unit. As the search continued Williams' family members reported that they had not had any contact him since the reported shooting incident. As Sunday wore on county law enforcement officers expanded their search throughout the Lowcountry. Although the Colleton County Sheriff's Office investigators had yet to find the victim, witnesses had provided investigators enough information to identify the alleged shooter. Sunday evening the sheriff's office announced that they had obtained an attempted murder warrant for Emanuel Buckner (pictured above), 26, of 128 Spring Road. Sheriff George Malone said that Buckner was avoiding apprehension and is considered armed and dangerous. The sheriff's office was asking that anyone with information on Williams' whereabouts or the location of Buckner were being asked to contact the sheriff's office at 549-2211 or contact Crimestoppers at 1-888-CRIME-SC or on line at www.sccrimestopprs.com.